Carpet rods (also called stair rods) were very common in Victorian Era homes, and their popularity continued well into the 1930s. Stair rods added an air of elegance to a home’s staircases, as well as a level of decorative detail that is rare in many of today’s modern houses. Think of stair rods as jewelry for your staircase. 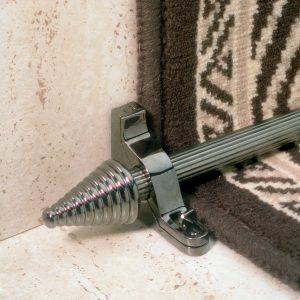 Stair rods serve as beautiful accent pieces that highlight your stair runners and enhance the design of your staircase. They can give even a drab staircase an elegant, old world look and feel. There is no better design idea that can make your staircase stand out more than complementing them with a beautiful carpet runner held in place with a set of exquisite brass stair rods. 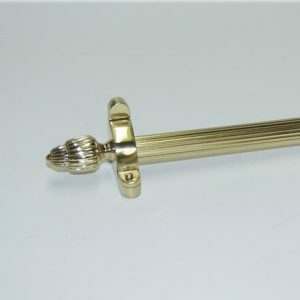 The American Heritage Collection, a registered trademark of Decorative Hardware Studio is manufactured in the United States, offering designers top quality brass stair rods, of both classic and modern designs. 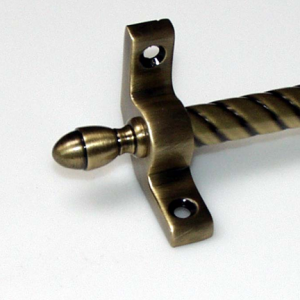 Each carpet rod is fabricated and assembled by skilled artisans. We offer all our carpet rod collections in nineteen (19) standard finishes. 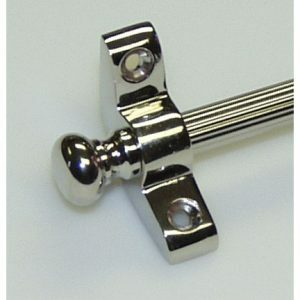 Decorative Hardware Studio carpet rods are sold exclusively through displaying carpet dealers. 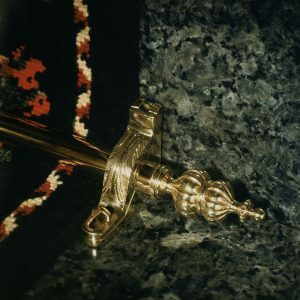 DHS offers carpet rod collections from budget (Simplicity, Greenwood and New England Collections) to carpet rods for grand staircases for hotels, mansions, and casinos such as our Renaissance and Imperial Collections. We have an extensive inventory and can provide you with quality technical assistance in you carpet rod specification and installation. 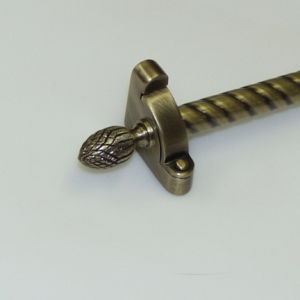 We pride ourselves on our fine quality of period and contemporary hardware artistically engineered to the most stringent of standards. 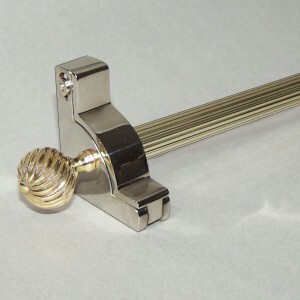 Each carpet rod is sand cast, or machined, then hand polished to a brilliant rich finish. 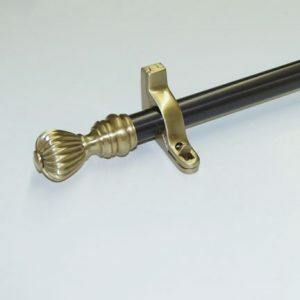 So take a look through our brass stair rod collections, and see how we can help you give your staircase a beautiful new flair.